WirelessNetView is a network tool that monitors the activity of reachable wireless networks and displays information related to them (SSID, Signal Quality, MAC, Channel Number, Cipher Algorithm, etc). When you start to use WirelessNetView, it automatically populates a list of all reachable Wi-Fi networks and related information about them.You can download WirelessNetView, below. 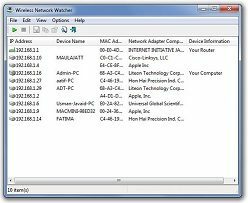 Wireless Network Watcher is a small network tool like WirelessNetView. Wireless Network Watcher scans wireless networks and displays a list of devices that are currently connected and related information. You can download Wireless Network Watcher, below. 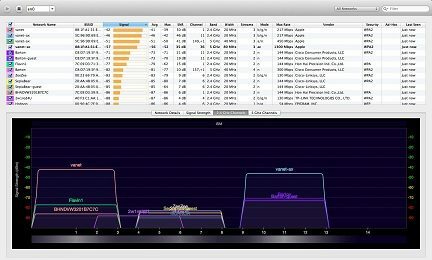 Wi-Fi Explorer is a WiFi network discovery tool for Mac. It collects information such as BSSID , Network name, data rates, and channel. It gives a visual graphical view. You can download Wi-Fi Explorer below. 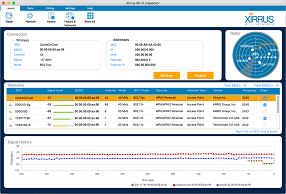 Xirrus Wi-Fi Inspector is a network tool that is used to detect Wi-Fi networks. It also manage and troubleshoot these connections, verify Wi-Fi coverage, locate Wi-Fi devices and detect rogue Access Points. 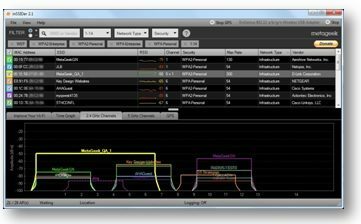 You can download Xirrus Wi-Fi Inspector, below. 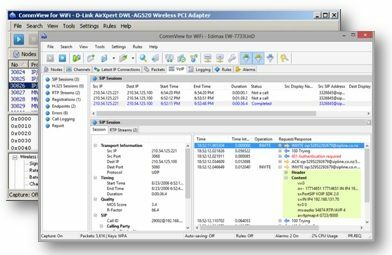 NetStumbler is a free Windows tool to find open wireless access points. It is used for wardriving, verifying network configurations, finding locations, detecting unauthorized access points etc. You can download NetStumbler, below. 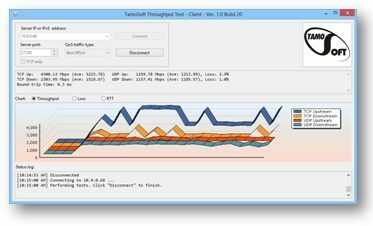 Tamosoft Throughput Test is a free tool to measure performance of wireless and wired networks. It sends continuous TCP and UDP data across the network to measure upstream and downstream throughput, packet loss information and round-trip time. You can download, Tamosoft Throughput Test, below. 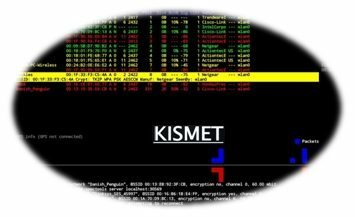 Kismet is a network tool that sniffs and analyzes the network traffic of hidden networks SSIDs. It is used for wireless networks. You can download Kısmet, below. OmniPeek is a packet sniffer and network analyzer tool. 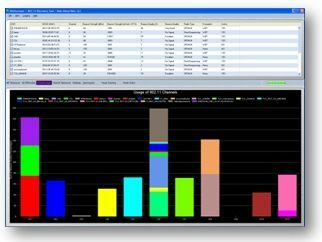 This tool is used to capture and analyze wireless traffic. You can download OmniPeek, below. 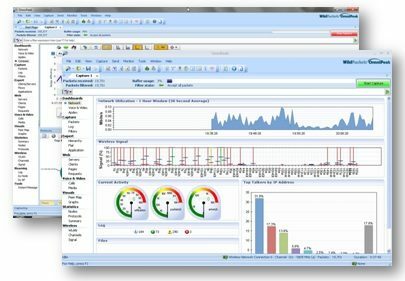 CommView is WiFi monitor and packet analyzer tool. It provides useful information like access points, stations, signal strength, network connections and protocol distribution etc. You can download, CommView for WiFi, below. 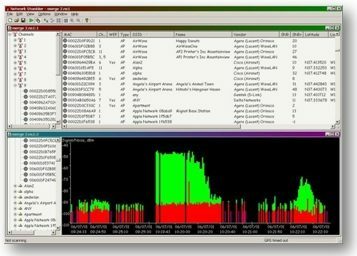 NetSurveyor is a free Wi-Fi scanner and analyzer. It offers a good reporting and diagnostic views for users. You can download NetSuveyor, below. 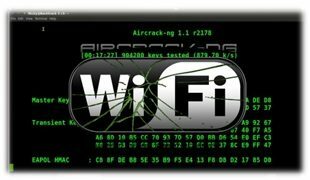 Aircrack-ng is a complete suite of tools for WiFi Network Security. It focuses on monitoring, packet capturing, attack testing, wifi and dirver capacity testing, cracking etc. Aircrack-ng works on Linux, Windows, OS X, FreeBSD, OpenBSD, NetBSD, Solaris and eComStation 2 etc. You can download Aircrach-ng, below. inSSIDer is a Wi-Fi scanner for Microsoft Windows and OS X operating systems. It can find open wi-fi access points, tracking signal strength, and saving logs with GPS records etc. You can download inSSIDer, below. AirSnort is a free tool for decrypting WEP encryption on a wi-fi 802.11b network. It is no longer maintained, but it is still available to download from Sourceforge. You can download AirSnort, below. 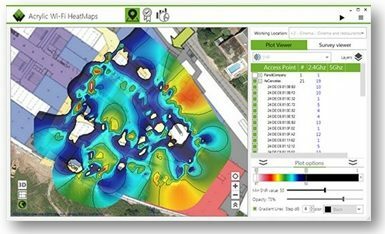 Ekahau HeatMapper offers a free planning and site survey tool for Wi-Fi coverage on a floor plan for small offices and remote locations. You can download, Ekahau HeatMapper, below. 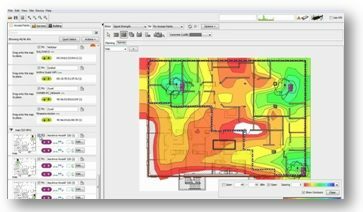 Acrylic Wi-Fi HeatMaps is A site survey Wi-Fi tool that determines Wi-Fi coverage. It shows its anayzes on a floor or area based visual platform. You can download Acrylic Wi-Fi HeatMaps, below. Hey Buddy!, I found this information for you: "Wireless-tools". Here is the website link: https://ipcisco.com/wireless-tools/. Thank you.